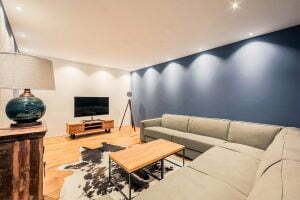 Providing the best summer and winter self-catering accommodations in the most beautiful part of Austria, Arlberg Rentals has arrived. Through PURE International, we’ve had a footprint in the Arlberg region since 2012. Five years of experience and exposure means we know the region and the owners & operators of all the holiday rentals intimately. 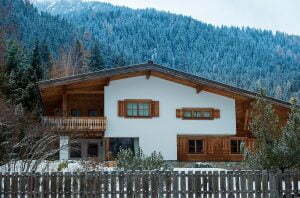 Self-catering provides the flexibility, ease and value that many prefer – and so Arlberg Rentals was conceived. Ours is a unique offering tailored to your needs. We offer you an extensive range of self-catering accommodation and the inside knowledge that will make your Arlberg experience unique, and your holiday the very best that it can be. Your holiday though is so much more than just accommodation. It’s the activities, the food, the restaurants and more – the memorable experience. Not only are we unique in offering self-catered apartments and chalets, we offer you a definitive guide to the Arlberg, it’s resorts and all that you can do, so that your Arlberg experience will be too. 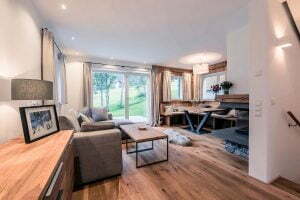 A wonderful standalone three bedroom chalet that sleeps up to five. The chalet is a perfect match of traditional design and features combined with modern design and appliances. Set over three floors, the chalet is light and airy and has spectacular views to the West down the valley and to the mountains. Guests also benefit from access to a gorgeous shared pool, wellness suite, steam room and sauna. 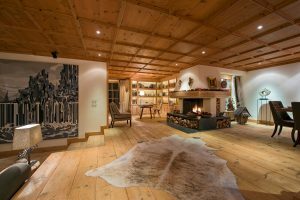 Exemplary Tyrolean craftsmanship with exceptional modern styling is on show in the 550m², three floor Chalet Maria Schnee in the Nasserien area of St. Anton. 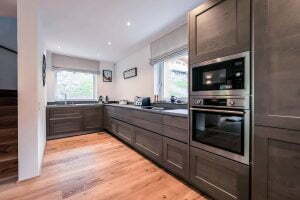 The chalet comfortably hosts 15 people in seven bedrooms and is only a few minutes walk to the lift station. 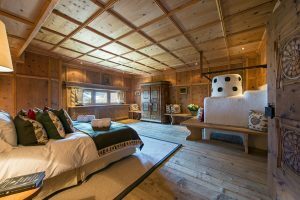 The chalet was built by the famous World Cup alpine skiing champion Gertrud Gabl and her family in 1978 and recently underwent a complete refurbishment by its new owners.